Happy Monday! I'm excited to share my new blog design, created by Whit at Heart and Arrow Design She is amazingly talented, and I couldn't love the update more. Thanks so much Whit! The new design has already motivated me and made me excited to work on this little hobby of mine. I hope you had a beautiful weekend. The weather was great in NC, and I enjoyed working and shopping a bit with my mom. 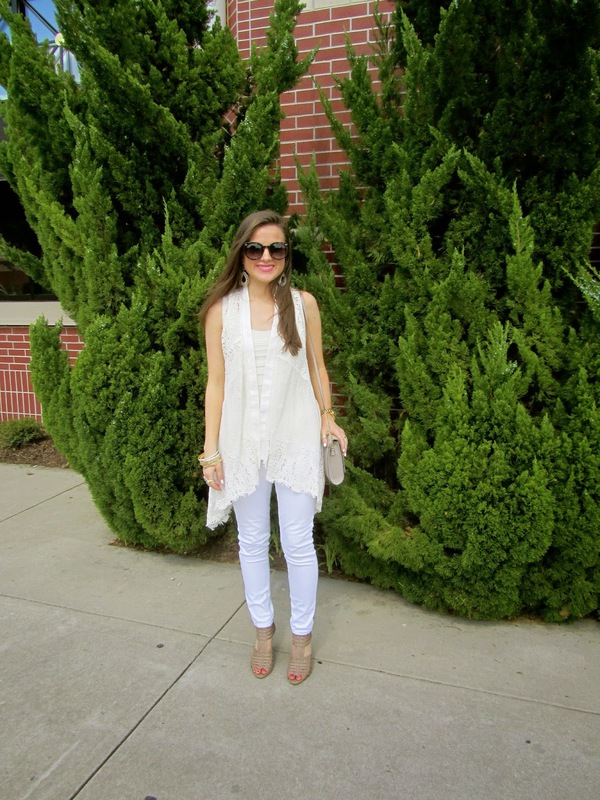 Here's an all white look I've been wearing lately. 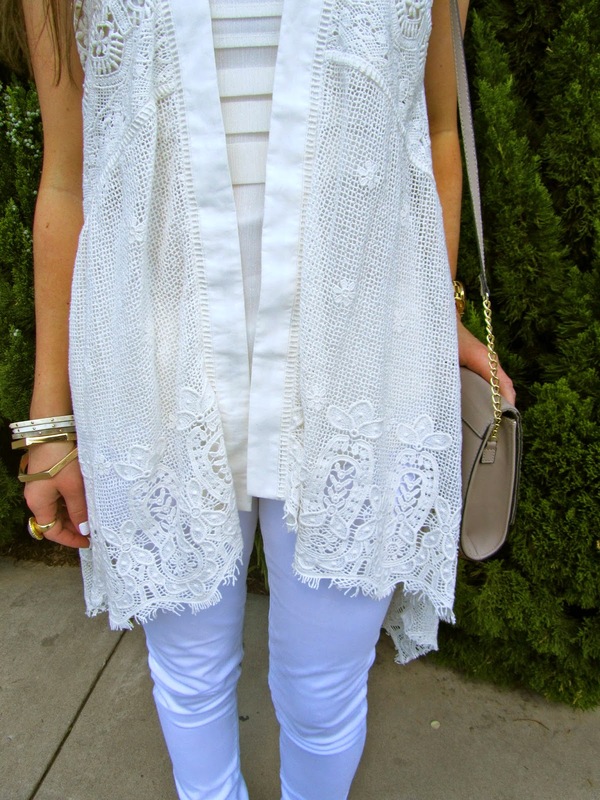 I seriously love this vest, it's the perfect layer for spring and summer.